Goldey-Beacom College takes pride in the many accomplishments of its students, faculty, and alumni - both in and outside the classroom. 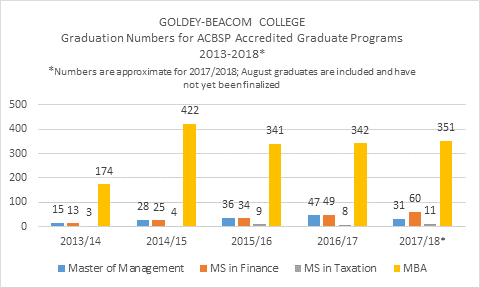 Goldey-Beacom College takes pride in the many accomplishments of its students, faculty, and alumni – both in and outside the classroom. Through an extensive outcomes assessment program, the College annually reviews concrete measures of student achievement ranging from student projects to placement rates to employer feedback. 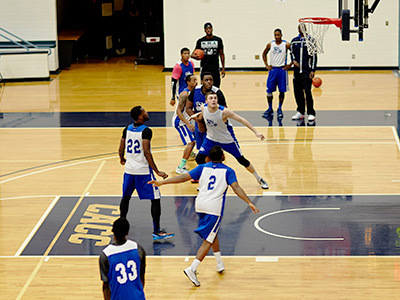 Every measure is then reviewed to determine where and how the College can do better. A plan is put in place, and the data is reviewed again one year later. GBC also regularly measures a variety of components in the learning environment to guarantee academic quality. 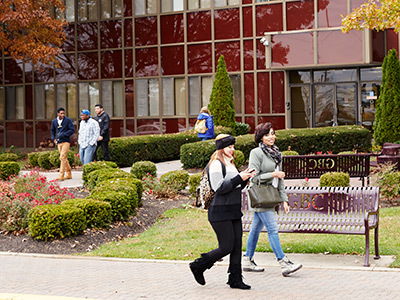 As one important measure of academic quality, the College regularly assesses the accomplishments and credentials of the faculty – the heart of the institution. All academic programs are assessed annually and can be accessed through the appropriate link below. The mean cumulative GPA for undergraduate degree students in 2017-18 was 3.00. For the entering cohort class of 2010, 59% of students had graduated within the six-year window (first-time, full-time, Fall-entry baccalaureate students), average for comparable groups. The percentage of first-time, full-time Fall-entry baccalaureate students who return for the Sophomore year is comparable to the ACT and IPEDS benchmarks which have ranged from 84% (2005) to 70% (2016). For the most recent baccalaureate graduates (2017), 95% were employed within three months of graduation (or pursuing graduate studies, not currently seeking work due to relocation, etc.). For those graduating with masters degrees, 97% were employed (or pursuing graduate studies, or not currently seeking work). Of those baccalaureate graduates, 71% found work related to their major course of study and 90% reported satisfaction with their current job. 90% of master level graduates found work related to their course of study, and 92% reported satisfaction with their current job. (You can see placement result information from the Career Services Office for more detail on job success of graduates). Business Administration majors received a 4.50 on a 5-point scale. Accounting majors received a 5.0 on a 5-point scale. MBA graduates received a 4.69 on a 5-point scale. Master of Management graduates received a 4.65 on a 5-point scale. Accounting majors earned an average 5.65 of 7 points. Business Administration majors earned an average 5.64 of 7 points. More detailed listings of specific learning results for majors for 2015 and 2016 are available. 100% of full-time faculty have earned a doctoral degree in the field in which they teach. The College provides a wireless network allowing all students to connect multiple devices. Academic computing resources are available to students during published hours with no reservations needed. 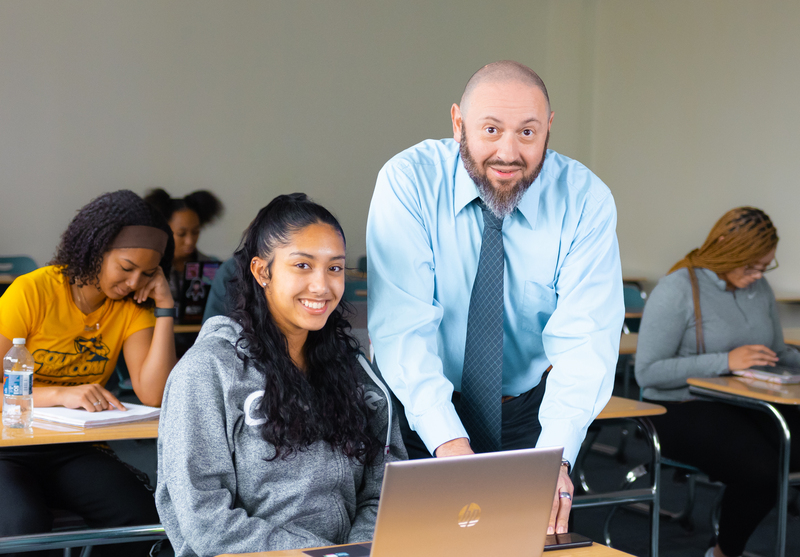 On the nationally administered National Survey of Student Engagement (NSSE) in 2013, approximately 90% of students rated their experience at GBC as "excellent" or "good".  On the same survey, GBC seniors rated the College significantly higher than peer institutions in the areas of learning strategies, quantitative reasoning, and effective teaching practices. For the 2017-18 academic year, the average class size for undergraduates was 26 students.